Apart from being the chief constituents of natural gas and petroleum, hydrocarbons and their blends have a crucial role as resources that support present-day infrastructure as basic materials for the petrochemical sector. A traditional method which has been used for synthesizing beneficial chemical products from hydrocarbons involved the use of metallic peroxides in huge quantities in hazardous organic solvents in order to oxidize hydrocarbon compounds. For many years, Researchers have analyzed the process of clean catalytic oxidization performed without solvents and by using oxygen in the air to ensure that the resources are effectively used and to minimize environmental pollution. Specifically, analysis of noble metal nanoparticles mounted on metallic oxides or porous carbon materials is widespread. Moreover, these metal nanoparticles are considered to be propitious catalysts. 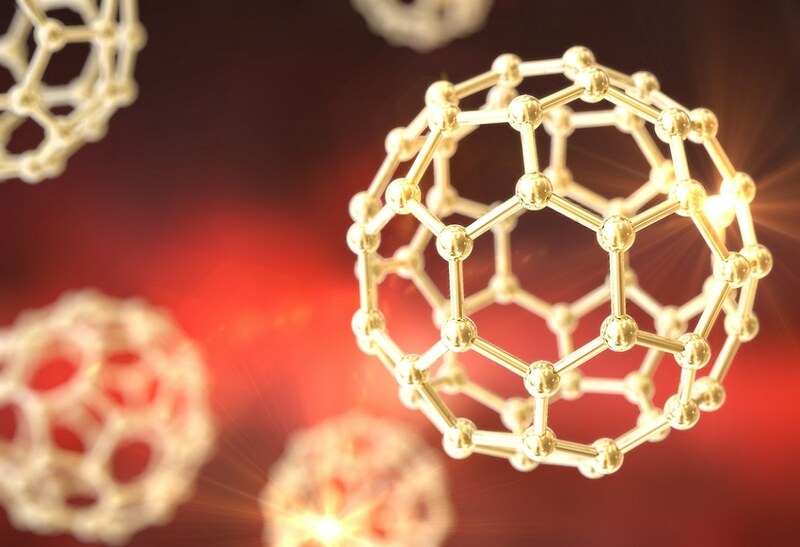 The indispensable characteristics that decide the reactivity of these heterogeneous catalysts are the metallic composition, size and shape of the metal nanoparticles. Particularly, particles with a size below 2 nm have attracted considerable attention in synthesizing innovative high-performance catalysts because Researchers have discovered that when the catalyst particle’s diameter is reduced, the surface area ratio is increased and also the state of the electrons on the surface of the metals is largely altered, considerably modifying its reactivity. Yet, the technique of producing metal nanoparticles of this size by controlling its diameter as well as its composition has not been found yet. The research team headed by Kimihisa Yamamoto from the Tokyo Institute of Technology formulated a technique for producing microscopic alloy nanoparticles by employing branched molecules “dendrimers” developed by the same team as part of the Yamamoto Atom Hybrid Project on the ERATO program, the Exploratory Research for Advanced Technology, research program funded by Japan Science and Technology Agency (JST). The structure of dendrimers is a regular branched structure that has a definite molecular weight even though they are categorized to be macromolecules. The team put into effect various coordination sites for developing metal ions and complexes. The research team successfully produced a nanoparticle including a controlled number of atoms by taking a dendrimer that had these coordination sites as a template for the metal nanoparticle. Moreover, they assessed the reactivity of the synthesized alloy nanoparticle when it was used as a catalyst for oxidizing hydrocarbons under normal pressure conditions and by using oxygen from air as the oxidizing agent. They discovered that its reactivity was 24 times higher when compared to catalysts that are commercially used for oxidizing organic compounds. The team further observed that when a catalytic amount of organic hydroperoxide was added, the catalyst boosted the oxidization of hydrocarbons into ketones and aldehydes under normal pressure and temperature conditions. In addition, the Researchers compared the modification in reactivity as a result of the presence of alloy catalysts of disparate metallic compositions and investigated the constituents and other properties of the ketones, intermediates and organic hydroperoxides. Consequently, they could monitor the course of boosting up of reaction by virtue of alloying of the catalyst. The process of converting inactive hydrocarbons into substances that have much added value by means of catalysis is a technique that has gained considerable attention in the recent past. The insights acquired from this study are expected to become a design guideline for producing innovative high-performance catalysts. The technique for producing alloy nanoparticles formulated in this study can be commonly applied and used for other metals. Hence this can be considered to be the technique for unearthing the activity of various other microscopic alloy nanoparticles with not-yet-known catalytic performance. Additional analyzes of the increase in catalytic reactivity due to the combination of copper and other noble metals in not only the hydrocarbon oxidization but also the oxidizing conversions of other organic compounds are warranted. This technology is expected to be used in futuristic high-performance materials in diverse areas such as energy, electronics and optics.